Danner, the original designer of the Marine Corps’ Rugged All Terrain boot, is having a limited-time sale on “second quality” boots. Both the temperate and hot-weather versions of the boots, normally $340 and $320 respectively, can be had for $79. That is potentially a huge break for Marines who need a replacement pair. Second quality, however, means the boots aren’t aesthetically perfect. They are available in limited sizes and only for three days or until supplies run out, but those who jump on it quickly could score a sweet deal. As of noon today, temperate boots were available in sizes 4, 9, 9.5, 10, 10.5, 11, 11.5, 12, and 12.5. Hot weather boots were available in 4, 5, 8.5, 9, 10, 10.5, 11, 13.5, 14, 14.5, 15, 15.5, and 16. 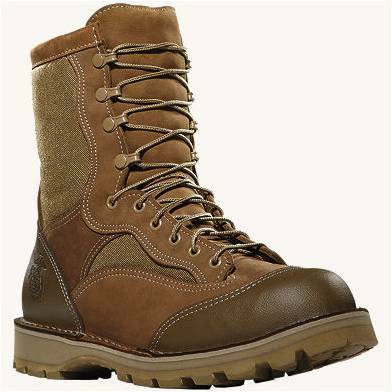 To see what’s available visit and sign up for Danner’s “Breakroom” sale website at www.hitthebreakroom.com.